At Federal Benefits Group we’re dedicated to walking you through the confusing federal retirement process. We’ll help you fill out your retirement paperwork for FREE! Give us a call today at (877) 317-4167 and make an appointment! If you are a federal employee and thinking about retiring, you may have some questions about the process that Office of Personnel Management Director Linda M. Springer calls the federal “retirement tsunami.” If you’ve set a retirement date and hopefully are enjoying your final days on the job, let us help with what can be an overwhelming pile of paperwork and a flood of questions. Let us help you fill out your retirement paperwork for FREE! When will my checks start arriving? How do I make a deposit or re-deposit? How do I buy-back my military time? What if I owe money to my employer when I retire? How do I apply to withdraw my Thrift Savings Plan funds (TSP)? How do I apply for Social Security retirement? What do I need to do to continue my health benefits? 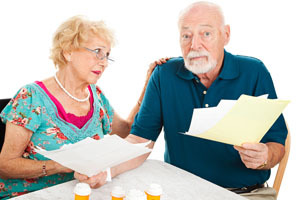 What about long-term care insurance and dental and vision benefits? Can I change health plans when I retire? How do I deal with tax withholding from my retirement checks? Do I receive a retirement check or are the funds deposited directly into an account I designate? Do I have to make new beneficiary designations when I retire? Don’t take chances with your future and your retirement. Federal Benefits Group can provide you with the knowledge, information and advice to make the right decisions.